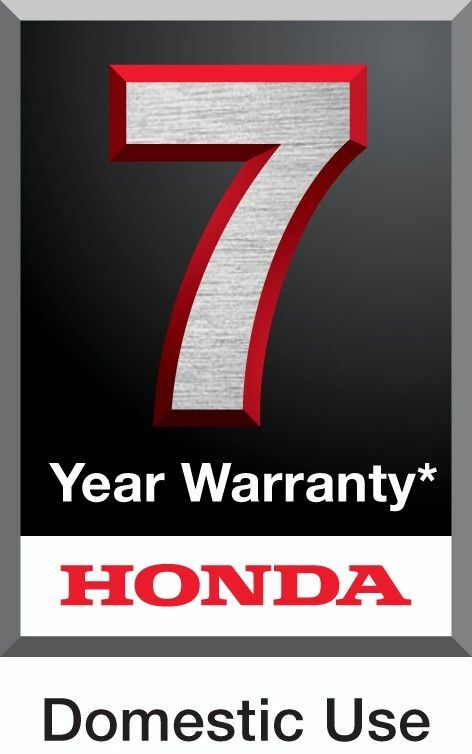 The HRX 476 VY features SMART drive, which is Honda's variable-speed transmission. It is powered by an OHC 4-stroke Honda GCV160 160 cc engine that pumps it full of power to provide an exceptional performance. It features the Versamow 4-in-1 function, which allows you to collect, mulch, rear discharge, and mulch and collect your grass clippings both at the same time. 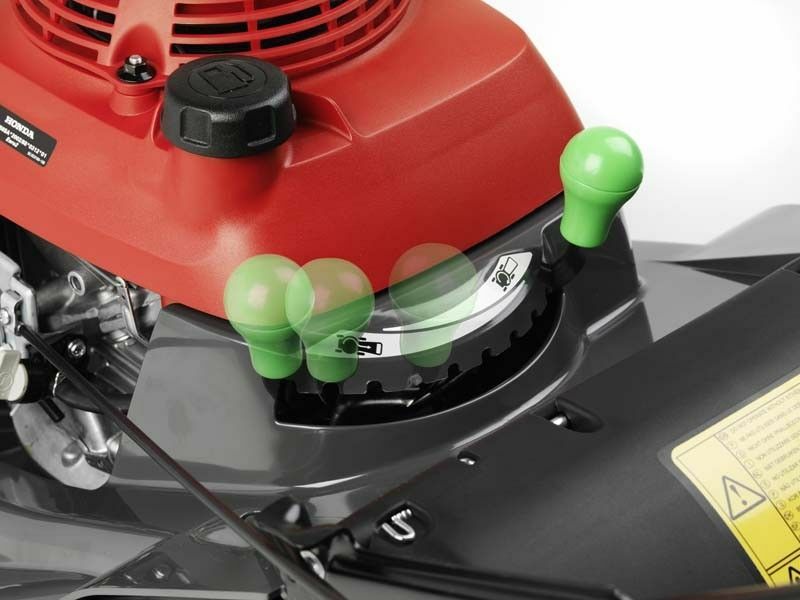 The best thing about it is that you don't even need a mulch plug to mulch the clippings, as you simply select your preferred mowing mode via the cleverly placed single lever. The Versamow function free's up plenty of room in the large 69 litre grass bag. 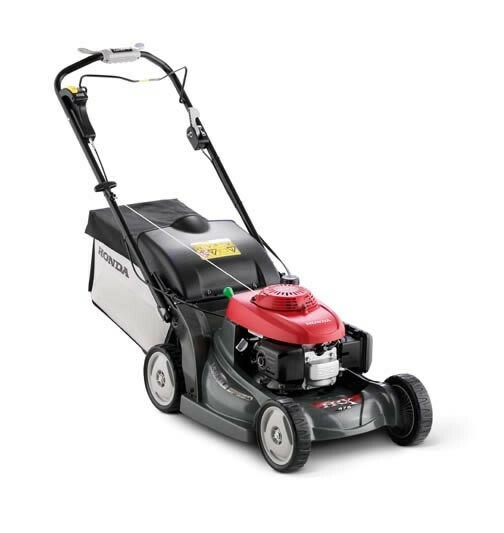 The HRX 476 VY features SMART drive, which is Honda's variable-speed transmission. 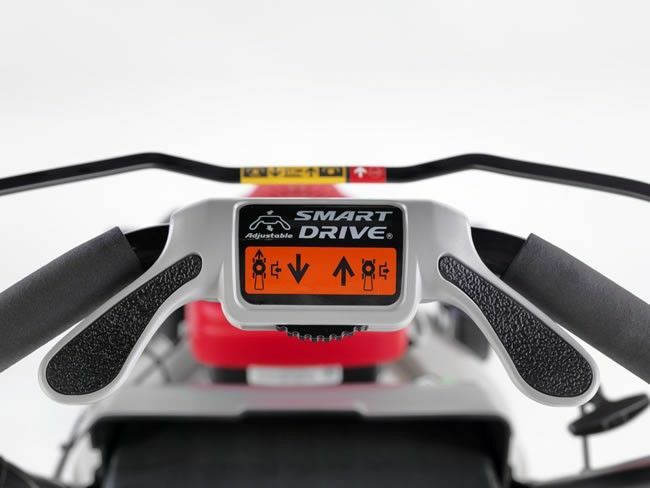 It is controlled via the handlebar, which allows you to adjust the ground speed instantly, with absolutely no need at all to stop and have to change gear like you would have to with a manual gearbox. With a robust and durable polystrong® cutter-deck, this lawnmower has a lengthy service life that is super reliable. This mower comes 7 cutting heights between 25 - 79 mm, giving you plenty of option when it comes to choosing your ideal grass finish. It also features fully folding handles, meaning that storing the HRX 476 VY isn't a problem.